The content of this article was first published in Il-Bizzilla magazine, February 2019 issue. Early last month the Malta Gaming Authority (“MGA”) launched the first of two phases (“Phase 1” and “Phase 2” respectively) of its much-anticipated sandbox framework (“Sandbox”) for the acceptance of virtual financial assets (“VFAs”), virtual tokens (“Tokens”) and the use of distributed ledger technology (“DLT”) by its licensees (“Licensees”). In Phase 1, open as of 1 January, the MGA will accept applications for use of VFAs and Tokens by Licensees. Phase 1 is intended to last 10 months, but the MGA has discretion to extend it further. Phase 2 will be announced at a later stage. In Phase 2 the MGA will accept applications for the operation of remote gaming systems using DLT. Insofar as Phase 1 is concerned, it is important to note that under Maltese law VFAs include several so called cryptocurrencies. As a rule, Licensees will be allowed to make use of VFAs which satisfy Maltese rules on VFAs, but subject in each case to the MGA’s evaluation of the VFA concerned and the Licensee’s preparedness. The MGA says that it will use a risk-based approach on a case-by-case basis; guided amongst others by the technology being used, security and resources available to the Licensee in question. It is advisable for Licensees to carry out the “Financial Instrument Test” set out in Maltese law on every VFA they wish to accept as a means of payment. Several specific rules apply, including that any digital wallet used by a Licensee must generate a wallet address which specifically ties to an individual player, a player’s wallet address must form part of that player’s registered identity with an operator, withdrawals can only be made from verified wallets from which deposits would have been made, VFA player liabilities must be reported in the monthly player funds report, and when it comes to Tokens these must be converted to fiat currency prior to withdrawal at the same exchange rate at which they were acquired by the withdrawing player. The acquisition, exchange or sale of VFAs on a Licensee’s platform or through the Licensee’s wallets is not permitted for VFAs, but it is for Tokens in a closed loop scenario. It follows that payments deposited in a certain VFA by a player must be returned to that player in the same VFA by the Licensee. 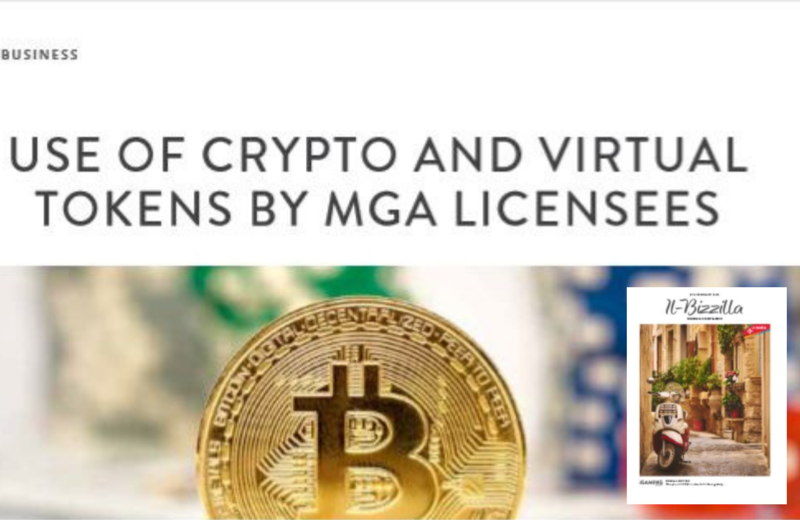 The MGA has updated its Licensee Relationship Management System to allow Licensees and licence applicants to apply for approval of VFAs and Tokens as a payment method. Guidance exists, courtesy of the MGA, but the interplay of this with Maltese law on VFAs as well as other laws, such those on AML, make this a complex area which Licensees and MGA licence applicants ought to study carefully.